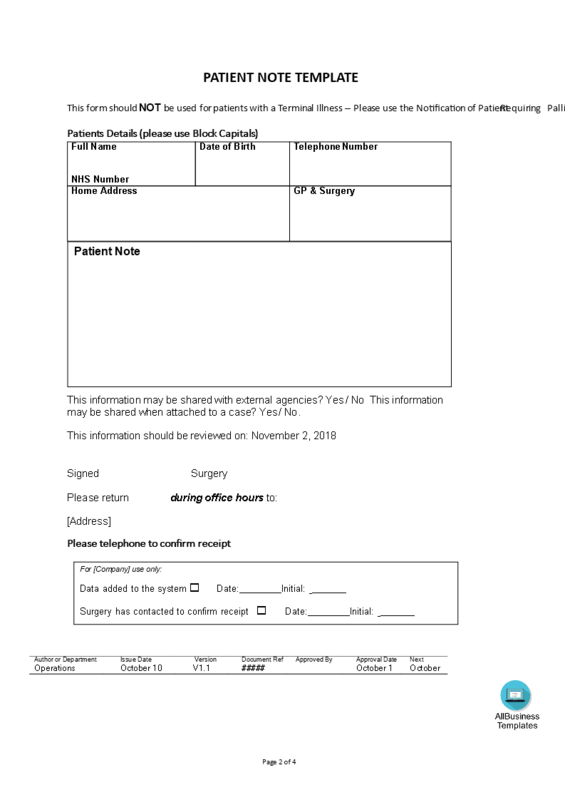 This healthcare Patient Note Template gives you an idea. If you need to design your own patient note, this template will definitely be a good starting point. This Patient Note Template is intuitive, ready-to-use and structured in a smart way. Try it now and let this Patient Note Template sample inspire you. We certainly encourage you to download this Patient Note Template now and use it to your advantage!